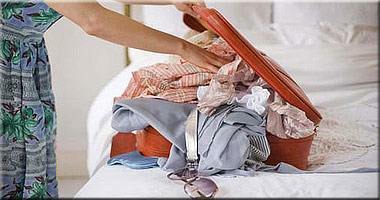 Find out and learn what's the best way of packing a suitcase for an overseas trip. How to pack suitcase tips. Traveling overseas has become more and more popular. People love traveling and today’s bus, ships or plane connections can take us just in hours to the other end of the world. Unfortunately our baggage is in most case very limited. Some items are also prohibited from packing into a suitcase. Read more! Depends on where you are traveling and on what mean of transport you are using there are certain regulations you should be aware of to avoid unpleasant situations. Find out what items you will find useful and what you should not take. Learn about best way to pack your suitcase for a long trip abroad. Packing a suitcase for any type of travel can be a nightmare. It requires very good organizational skills and patience. Packing for air travel can be one of the most stressful things about your travel outside of going through security. Not only do you have to pack a big suitcase full of things you will need for your general stay, you will also need to pack some items into a separate baggage to entertain yourself on the flight as well as on a layover. The biggest inconvenience is after all that packing; the airline company has misplaced or lost your suitcase. You can be forced to wear the clothes on your back for the rest of your stay, or wait until your luggage is delivered - hopefully. Packing a suitcase successfully for air travel requires you to know the rules and regulations of the Transport Security Administration (TSA). TSA has a standard set of rules and regulations list of items that are not permitted on board any flight as well as items that are accepted to carry into the flight. This list is available on the TSA website. You should also check your airline regulations concerning the size and the weight of the suitcase as well as items you can transport to Australia. Following these rules will make your travel less time consuming and will hopefully prevent you from being selected for the dreaded random search. Here are some things to consider, when packing your suitcase - both carry on and checked in shipping baggage. These can be grouped together preferably in a case or toiletry bag. This section is primarily if you are traveling as a family or with your little one (moving with children). Forgetting a single item on this list can possibly ruin your entire trip especially if your child is used to that specific product and brand item that will not be available where you will be traveling to. Try to pack all your baby items 24 hours in advance, to avoid time delays. Your baby items should be packed separately in a sizable diaper bag. Your accessories should be wrapped together and paired so you do not misplace any items. Shoes must be selected according to all the activities you will be doing. 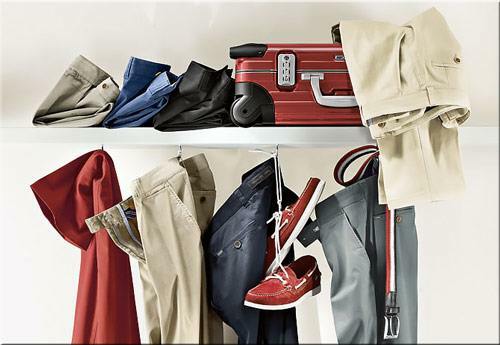 All the shoes must appropriately match all the outfits you have selected to wear on your trip. All your clothes, shoes and accessories must be packed together in your checked in suitcases with the exception of your “just in case of an emergency” clothes. All your travel size items can be carried in your hand suitcase. Any medications that you will be traveling with must be labelled and place in one 1- quart zipper bag like Ziploc. Make sure you have enough medication for you entire stay and during your travels. Any aerosols must be packed in your checked in luggage as those are prohibited by TSA law.